There are many ways to approach modulation in composition. In pop music the most common kind is direct or abrupt modulation. What this means is that you just move directly to the new key without in any way setting up the change of key with some carefully chosen chords to link the two keys. The mighty Stevie Wonder is a great fan of direct modulation. If you go to about 3:50 in the video below you will hear the final chorus repeated, each time it goes up a semitone – this is direct modulation to a new key. The NME has an excellent list of LIFE AFFIRMING KEY CHANGE SONGS here. Modulation is a central aspect of most classical music where composer’s have used a range of techniques to move fluidly from one key to another. It is also a feature of many jazz standard songs which include extended harmony and modulation. In both the above examples pivot chords are often used to help link from the original key to a new one. This article provides a good introduction to how to apply several different modulation techniques. This entry was posted in Composer's Tool kit, Harmony & Tonality on August 17, 2013 by simonballemusic. Here’s a starting point for how to add chord sequences in Garageband. This will work best if you already have a drum groove in place – a one or two bar loop is just fine..enjoy! 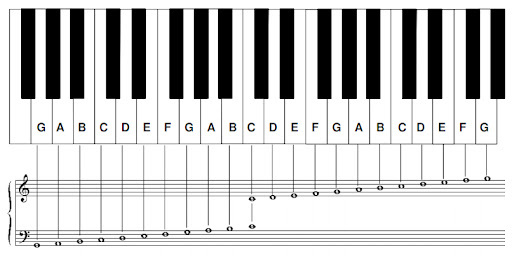 This entry was posted in Composer's Tool kit, Harmony & Tonality on February 2, 2013 by simonballemusic. How do the chords change in this fine and funky example? The two chords used in the opening section of Californication are A minor and F major, how are they chords expressed – block chords or broken chords? Here Plan B use a funky repeated chord rhythm to great effect..how many chords are used in the opening to this song? You will probably want to create a rhythm track first – make sure you’re harmonic rhythm (the rhythm of the chords) fits the drum groove. You could create two drum grooves – one for each chord progression. This entry was posted in Harmony & Tonality and tagged chord progression, chords, harmony on September 29, 2012 by simonballemusic. 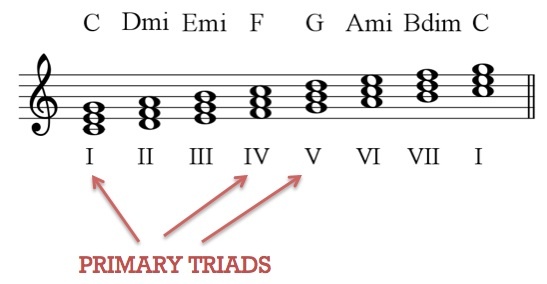 This is the powerpoint from our first lesson looking at TRIADS, how to create and play major and minor chords and an overview of DIATONIC HARMONY. This entry was posted in Harmony & Tonality on September 23, 2012 by simonballemusic. The above is an example of a highly effective simple chord sequence. How many chords are used in the verse and chorus chord sequences? This entry was posted in Composer's Tool kit, Harmony & Tonality on September 23, 2012 by simonballemusic.